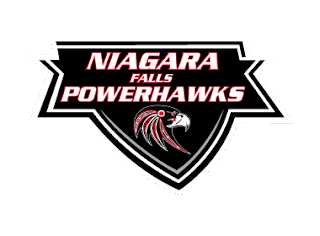 The Niagara Falls PowerHawks return to the Hyde Park Ice Pavilion for a trio of games this weekend, October 13-15. Friday night will see the Hawks take on the Southern Tier Xpress, while Saturday’s and Sunday’s games they will take on the Oswego Stampede. Game times are 7:00pm Friday, 6:00pm Saturday, and 1:00pm Sunday. The PowerHawks are coming off a single game weekend that saw them dismantle the Roc City Royals 11-4 at the Lakeshore Ice Arena on Saturday evening. Brandon Schweickert and Andrew Logar led the way with eleven points between them. The Southern Tier Xpress sit 3-3 in the East Division. They last played September 30th and October 1st. In the first game, against, Toledo, they picked up a 4-2 victory. The follow up game saw them drop a 5-2 decision to Pittsburgh. The newly relocated Oswego Stampede are familiar foes for the PowerHawks. For the last several seasons, they were the Syracuse Stampede. They are coming off a trio of games last weekend against the Skylands Kings. The Stampede went 1-2 over the weekend, losing the first and last games. The PowerHawks, Stampede, and Kings are all knotted at 8 points in the Northeast Division standings.